Kinect Fun Labs: Kinect Rush SnapshotApr 06, 2012 (US)Enter the worlds of five beloved Disney•Pixar movies - The Incredibles, Ratatouille, UP, Cars, and Toy Story - to become a unique character using Kinect for Xbox 360, and have your photo taken with your Pixar friends! 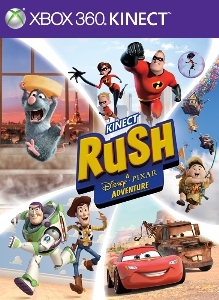 Then share your Kinect Rush Snap..
Kinect Rush: A Disney-Pixar AdventureMar 20, 2012 (US)Kinect Rush: A Disney-Pixar Adventure is a racing adventure game that lets families and fans of all ages experience the worlds of five beloved Disney-Pixar films. Use Kinect™ to become unique characters in fast-paced Pixar adventures. Dive into fi.. 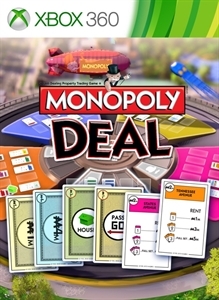 Monopoly DealJanuary 14, 2015Monopoly Deal for Xbox 360.. The CrewDecember 02, 2014The Crew takes you and your friends on a reckless ride inside a massive, open-world recreation of the United States that is brimming with exciting challenges. 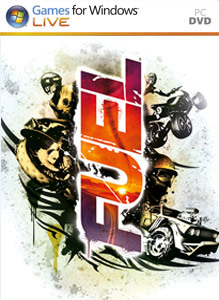 Generous in content and tailored for the connected generation, The Crew is the next-gen gam..